Woods Cross, Utah. — AutoSource, the largest dealer of branded title cars in the United States, today announced TV personality and best-selling author Troy Dunn as the brand’s newest spokesperson. Troy will appear in and contribute to a multi-media marketing campaign to elevate the public perception and understanding of branded title vehicles and educate car buyers on the extraordinary value and safety of branded title vehicles. Troy’s partnership with AutoSource will focus on educating consumers on what a branded title vehicle is and specifically drawing attention to the unique process AutoSource has for sourcing and inspecting all of their vehicles. Troy will play an integral role in spreading the word about the value and safety benefits of AutoSource branded title vehicles and how the AutoSource® brand continues to deliver the highest level of variety and options to fit all budgets. “I have been an owner and driver of branded title cars for many years which is why partnering with AutoSource® was an easy fit for me. I’ve been an avid fan of AutoSource for a long time and am super excited to enlighten others as to why” said Troy. As a popular reality tv star, Troy is known to millions of TV viewers as “The Locator” in the popular television series by the same name, which now airs in over a dozen countries worldwide. He also starred in the TNT series, “APB With Troy Dunn” and UPtv’s top rated show, “Last Hope.” Troy can be seen frequently on the #1 talk show in America- “Dr. Phil” and is also a contributor on Fox News, CNN and CNBC. Troy is the author of three best-selling books, the most recent titled, “Family: The Good F Word” with the foreword written by his friend Dr. Phil. 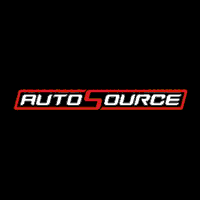 The campaign will show consumers how AutoSource®, America’s #1 branded title vehicle chain of dealerships, continues to expand across the United States with safe, reliable, affordable vehicles for all car buyers in all budget categories. The campaign will include social media content, blogposts by Troy and potentially some personal appearances in select cities. For more information on AutoSource®, please visit www.myautosource.com or to view the current inventory of AutoSource branded title vehicles directly, please visit www.myautosource.com/used-vehicles/.